Alexis Hayman-Staples serves as a jewelry designer for Harold Jaffe Jewelers and as the artistic director for Collingwood Arts Center. She was previously the executive director for the Collingwood Arts Center, where – with help from volunteers – she repaired various roofs, renovated studio space, and made improvements to its theater. She now works with the Toledo community as the artistic director while also designing jewelry. As a believer in community, Hayman-Staples opened Outskirts, a LGBTQ+ bar, with her mother that offers a safe, non-judgmental environment in a welcoming community. The need for a safe space and community also led to her starting Toledo Pride. In its first year, the event hosted 2,500 people, but now, welcomes over 20,000 people to downtown. Hayman-Staples also opened the Pride Center 419 located in the Collingwood Arts Center. 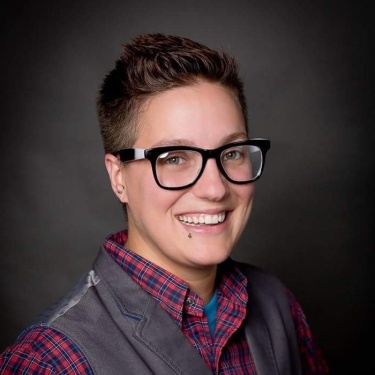 Hayman-Staples continues to serve the community as a board member of Equality Toledo, executive director of Toledo Pride, on the events committee of Northwest Community Shares, and as an events logistics chairperson for Project iAM.